We’ve had a fair share of customers come in who want to purchase a Miele vacuum as a gift for Mother’s Day but there’s a lot of press about how a vacuum cleaner is one of the Top 10 Worst Gifts that Men Give Women. Not only does it reinforce traditional gender roles and seem like a demand for higher standards of cleanliness, it is also simply an unrewarding gift. But as John Schafer, Ph.D., wrote in Psychology Today magazine, it’s not about asking someone to clean for you, it’s about helping make the necessary task of cleaning more bearable. “I bought my wife a vacuum cleaner for Christmas this year,” Schafer wrote. “I’ve been warned many times that this is not an appropriate gift. I disagree. From the dawn of the electrical appliance era and even from the dawn of time, people have been fanatically searching for ways to make their lives easier.” He goes on to explain that by buying a vacuum, he is trying to save a few precious minutes every time that they vacuum so that they can spend more time with one another, rather than cleaning. Some may not agree with Dr. Schafer and his advice that everyone should buy their spouse a vacuum. After all, receiving a practical appliance may dampen the fun and celebratory mood. Rather than replacing a potentially exciting gift with a vacuum, create a whole new reason to gift a vacuum. Gift the vacuum and explain that you want to be able to save time to spend together, like Schafer said. 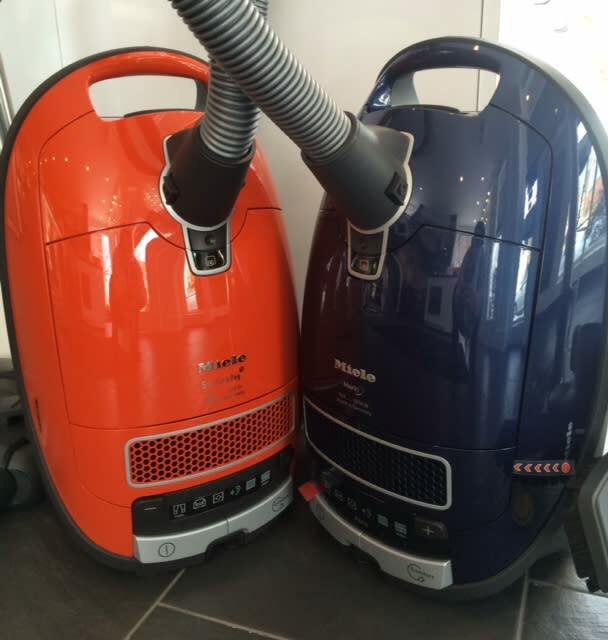 Miele vacuums are a high-quality, long lasting vacuum that have a cult-following. We’ve never actually heard of anyone complain that they received one as a gift. They are designed to remove common allergens such as pollen and dust and are well-loved by each person who uses one. Miele does a fantastic job designing their vacuums in appealing colors that are fun and cheerful. We don’t know if Dr. Schafer’s spin would work but we do know the first spin with a Miele vacuum is often true love.